More compatible and detailed information, please refer to our website HP Elitebook 8760P Keyboard. 1. 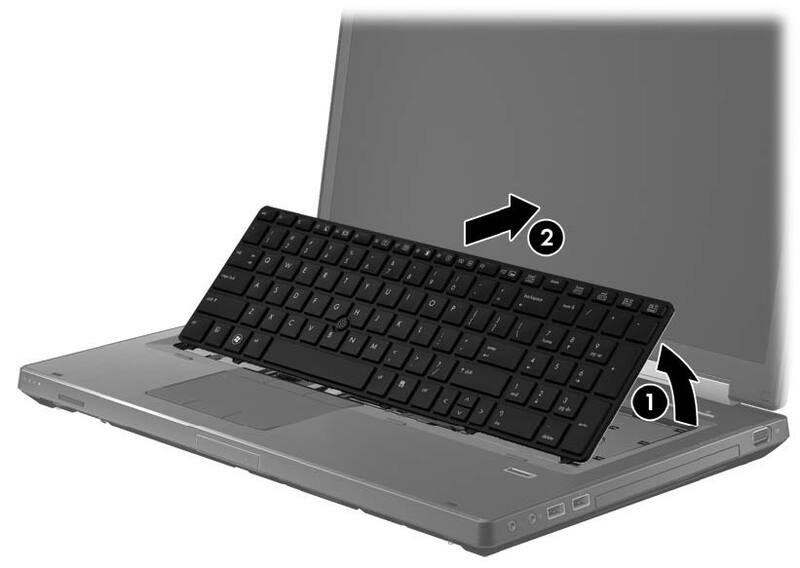 Position the computer upside down on a flat surface, with the front toward you. 2. 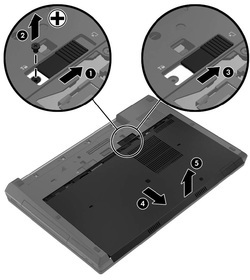 Slide the service cover release latch to the right (1), and remove the single security screw (2), if it has been installed. 3. Slide the service access cover release latch to the right (3) to release the service access cover. 4. 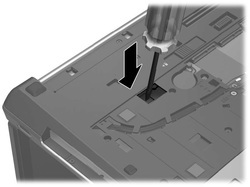 Slide the service access cover toward the front of the computer (4) and then remove the cover (5). 2. Loosen the Phillips captive screw (1) that secures the optical drive to the computer. 3. 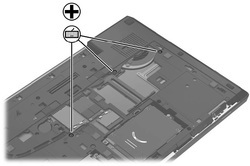 Insert a flat-bladed screwdriver or similar tool into the optical drive tab access (2) and press the tab to the left to release the optical drive from the computer. 4. Remove the optical drive (3). 2. Loosen the three Phillips captive screws that secure the keyboard to the computer. 3. Position the computer on its side with the display open at a 90 degree angle. 4. 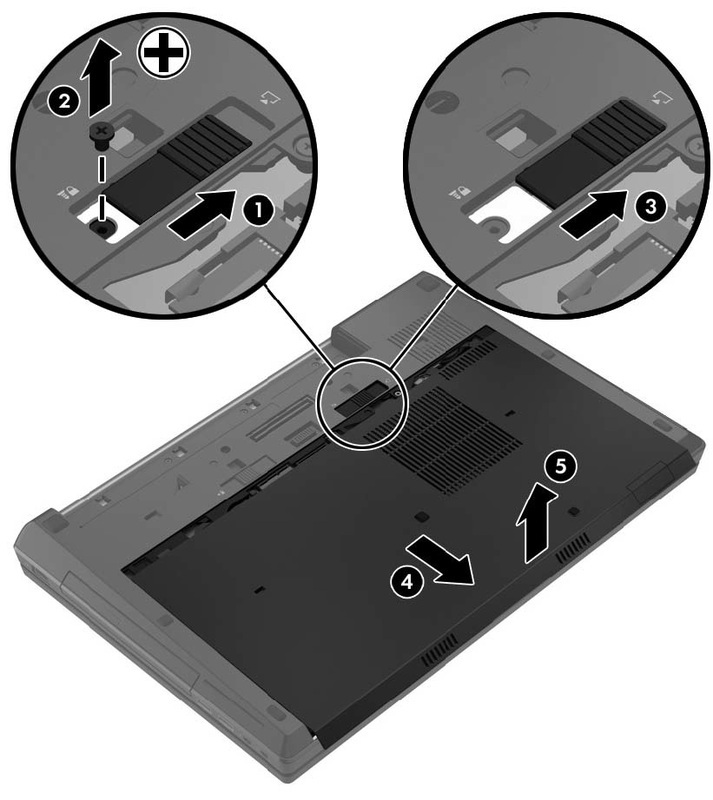 Insert a small tool at an angle through the hole in the optical drive bay at an angle to push out the top edge of the keyboard. This gives you access to the back of the keyboard and releases the top edge of the keyboard. 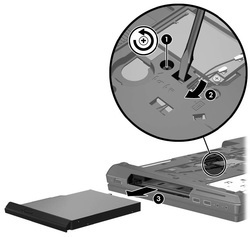 NOTE: Make sure that the optical drive or upgrade hard drive have been removed before performing this procedure. 5. Turn the computer right-side up, with the front toward you. 6. Open the display as far as it will open. 7. 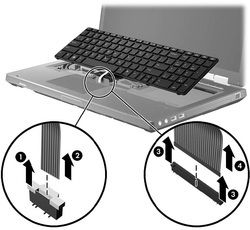 Lift the top edge (1) of the keyboard until it rests at an angle. 8. Slide the keyboard back toward the display (2). 9. Release the keyboard ZIF connector (1) and lift the keyboard cable (2) to release it. 10. Release the pointing stick ZIF connector (3) and lift the cable (4) to release it. 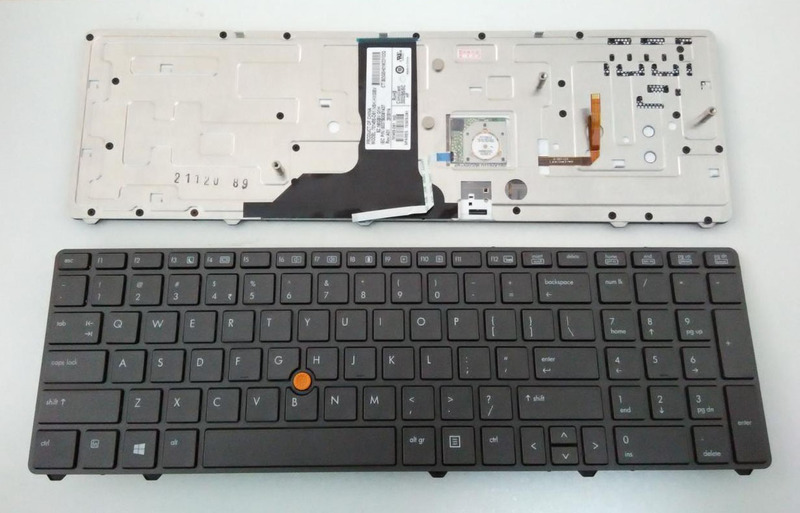 Reverse this procedure to install the HP Elitebook 8760W 8760P 8770W 8770P laptop keyboard.